Case studies from Asia, Central America, and the Middle East are explored, including Xi’an, China; Angkor Wat, Cambodia and Egypt’s floodplains. In-field surveying techniques particular to satellite remote sensing are emphasized, providing strategies for recording ancient features on the ground observed from space. The book also discusses broader issues relating to archaeological remote sensing ethics, looting prevention, and archaeological site preservation. New sensing research is included and illustrated with the inclusion of over 160 satellite images of ancient sites. 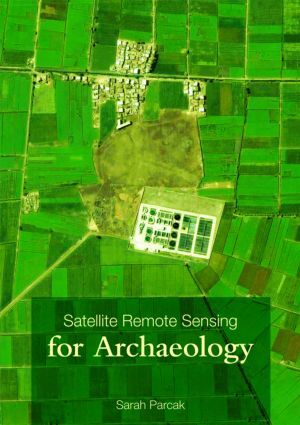 With a companion website (www.routledge.com/textbooks/9780415448789) with further resources and colour images, Satellite Remote Sensing for Archaeology will provide anyone interested in scientific applications to uncovering past archaeological landscapes a foundation for future research and study.